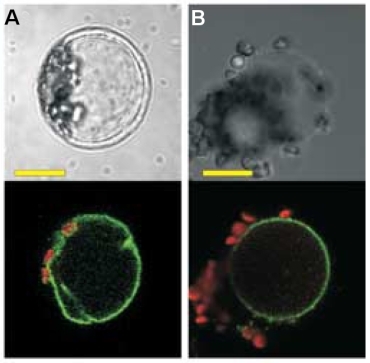 A fundamental property of all cellular organisms is that they respond to their environment. As sessile organisms, many plants endure a wide range of environmental conditions, and adverse stimuli such as pathogen attack, wounding, anoxia and cold trigger the appropriate physiological response initally through a calcium signal. How are these calcium signals generated? Biochemical and electrophysiological research over the last 15 years has resulted in the characterisation of many calcium-permeable channels in plants that serve to admit calcium into the cytosol. However, detailed description of the physiological roles of these channels has been hampered by lack of information on the identity of the genes that encoded the channels. Recent developments in the use of genetically-encoded calcium indicators (GECIs) is allowing us to measure calcium signals in real time in vivo, and these offer a real opportunity to study these signals at a much better resolution than ever before. 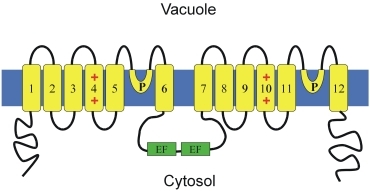 In 2005, the Miller lab discovered that the Two Pore Channel 1 (TPC1) gene of Arabidopsis encodes the calcium-permeable Slow Vacuolar channel at the vacuolar membrane of plants. We were able to ascribe physiological roles to this channel by studying the properties of so-called knock-out mutants. The channel plays a role in the hormonal control of seed germination and in the closure of stomata in leaves. Current work is aimed at measuring calcium signals in vivo in plants in response to multiple different stresses, and determining the role of TPC1 and other calcium channels in these signals. This work helped to establish a protocol for measuring Calcium signalling in vivo in Arabidopsis during aphid feeding. This has been published in jove, and features Thomas Vincent (Alumni).